Cold weather’s coming to Philly! Now’s the time to PowerSwitch to a low-priced fixed rate electricity plan to help you save money! How can I save money on my electricity bill in PECO, Philadelphia? The U.S. Energy Information Administration predicts that “average U.S. household expenditures for most major home heating fuels will be higher this winter compared with last winter.” They forecast natural gas expenditures to rise by 5%, home heating oil by 20%, and electricity by 3%. If you want to save money on your energy bill now and through the coming 12 months and protect yourself from potential price rises, then these are some of the cheapest electric plans available in PECO Philadelphia right now. Save on your electricity bill with NextEra and Frontier Utilities! If you’re looking for the cheapest 12 electricity month plans in PECO Philadelphia, then you need look no further than NextEra Energy Services and Frontier Utilities. NextEra offers the cheapest 12-month plan around with their NextEra Saver 12. Coming in at just 7.10 cents per kWh, you’ll be saving over 50% on your energy bill compared to the average household in Philadelphia. In June 2018, the average Philadelphia household spent around $108 on their monthly energy bill, meaning you could see savings of over $50 each month. Alternatively, Frontier Utilities offers a rate of just 7.35 cents per kWh with their Online Premier 12 plan, seeing you savings of close to 50%. While the NextEra Saver 12 plan comes with a cancellation rate of $10 per month remaining on your contract, Frontier Utilities’ Online Premier 12 plan instead comes with a flat $10 cancellation fee, and reviews from customers have been positive, citing their excellent customer service and rates. Make big savings with Constellation, North American Power and LifeEnergy! You can find further options for cheap 12 month plans in PECO Philadelphia with Constellation, North American Power, and LifeEnergy. Constellation comes in third with their 12 Month Home Power Plan, costing you only 7.99 cents per kWh for a whole twelve months. Constellation comes with the priciest cancellation fee of $150, but is a solid option regardless, and customers report their ease of changeover and understanding customer service team who can help with unexpected problems. If you’d prefer something different, North American Power’s 12-Month Fixed plan also comes in at 7.99 cents per kWh with a $10 cancellation fee per month remaining. Meanwhile, LifeEnergy offers a SimpleLife 12 plan for 8.49 cents per kWh in the PECO area. The SimpleLife 12 plan comes with a $149 cancellation fee however, which is a little more expensive than the other options. Save big on your energy bill in PECO Philadelphia right now! Choosing a 12 month fixed plan can help you make big savings over the next year and safeguard you from any potential price increases. You can start saving on your energy bill in PECO Philadelphia right now with any of the above plans. And don’t forget, you can head over to https://www.paenergyratings.com/electricity-rates at any time to compare our choice with other PECO Philadelphia electric plans. 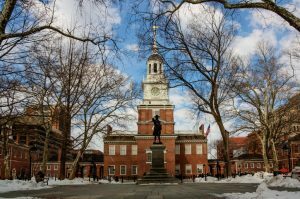 What is Pennsylvania’s Solar Future?